By road, Sandford Village, 5km South of Casterton in South Western Victoria is about five hours drive from Melbourne and six hours from Adelaide. 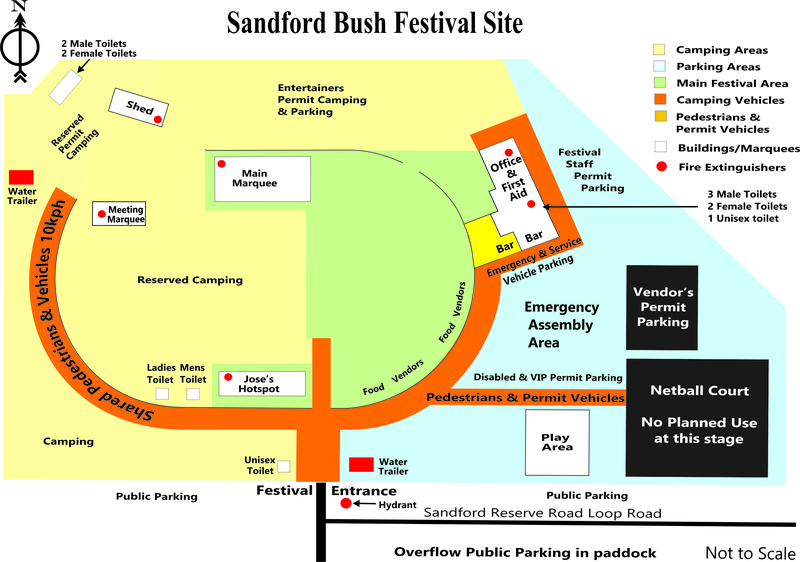 The Recreation Reserve is about half a kilometer out of Sandford Village. Nearby Casterton (5km – pop 1500) has 2 hotels, petrol stations, police, fire & ambulance-stations, medical clinic, hospital, pharmacy, a newsagency, supermarket, various fast food outlets and a range of other shops and businesses. Most shops are open Saturday morning but closed for the rest of the weekend.